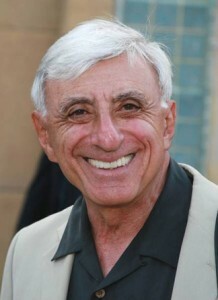 In this audio edition of the TV Time Machine, we welcome Jamie Farr of the classic TV series MASH. Mr. Farr played Corporal Max Klinger on this legendary CBS TV series, which aired from 1972-1983, garnering 14 Emmy Awards and a remarkable 109 Emmy Nominations. In this audio segment, Jamie Farr talks about his memorable character and the remarkable history of MASH, which airs weeknights at 7:00 and 7:30 PM, on MeTV. Again, for those of you intrepid enough to wear a clingy dress, feel free to contact Corporal Klinger, as we triage the present, in order to recover in a post-operative past!